Liverpool star Mohamed Salah will not be prosecuted after he was apparently filmed using a mobile phone while driving. Merseyside Police said there is “insufficient evidence” for them to take further action after footage circulated on Twitter in August. The force said the 26-year-old had been “spoken to by officers and given advice and guidance around mobile phone use in a vehicle”. Liverpool FC have declined to comment. In August, the Premier League club said they had alerted police after discussions with the player. “We have spoken to the player also and will deal with any follow-up internally,” they added. 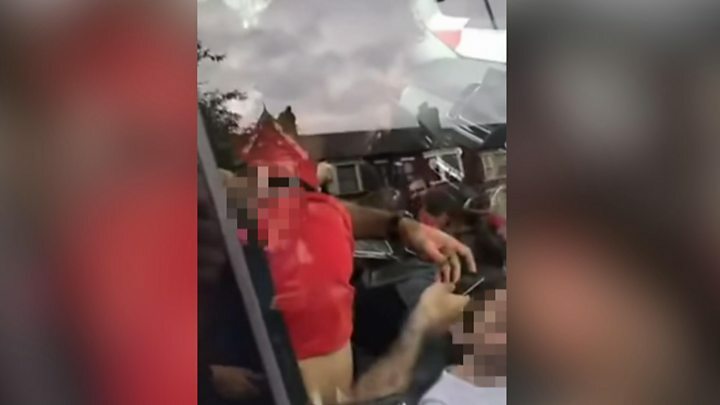 The video appeared to show the Egypt international, who scored 44 goals for Liverpool last season, using his phone while behind the wheel as his car is surrounded by fans, including children. It is thought to have been taken after Liverpool’s 4-0 home win against West Ham on 12 August, in which Salah scored the opening goal. Merseyside Police said: “We can confirm a 26-year-old man was spoken to following an incident on Arkles Lane in Liverpool on Sunday 12 August. “Inquiries have taken place and there is insufficient evidence to support a prosecution and as such no further action will be taken.